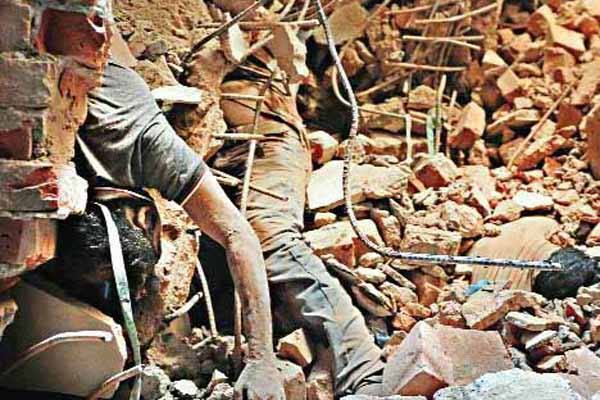 The building in Savar that housed five garment factories on the outskirts of capital Dhaka collapsed on Apr 24, 2013, killing over 1,100 workers under the debris. It is considered the deadliest garment-factory accident in history, as well as the deadliest accidental structural failure in modern human history. The building contained clothing factories, a bank, apartments, and several shops. The shops and the bank on the lower floors immediately closed after cracks were discovered in the building. The building’s owners ignored warnings to avoid using the building after cracks had appeared the day before. 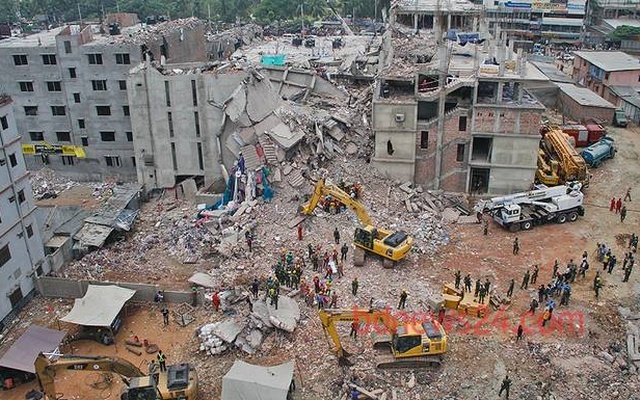 Garment workers were ordered to return the following day, and the building collapsed during the morning rush-hour. Very early on in the rescue effort, the United Nations offered to send their expert search and rescue unit, known as the International Search and Rescue Advisory Group (INSARAG), to the site, but this offer was rejected by government of Bangladesh. The government made a statement suggesting that the area’s local rescue emergency services were well equipped. Prior to offering assistance to Bangladesh, the UN held consultations to assess the country’s ability to mount an effective rescue operation, and they reached the conclusion that they lacked that capability. Bangladeshi officials, fearing damage to national pride, refused to accept the assistance offered to them by the UN. A large portion of the rescue operation consisted of inadequately equipped volunteers, many of whom had no protective clothing and wore sandals. Some buried workers drank their own urine to survive the high temperatures, waiting to be saved. Not only was the Bangladeshi government accused of favouring national pride over those buried alive, but many relatives of those trapped in the debris criticised the government for trying to end the rescue mission prematurely. One of the garment manufacturers’ websites indicates that more than half of the victims were women, along with a number of their children who were in nursery facilities within the building. Bangladeshi Home Minister Muhiuddin Khan Alamgir confirmed that fire service personnel, police, and military troops were assisting with the rescue effort. Volunteer rescue workers used bolts of fabric to assist survivors to escape from the building. A national day of mourning was held on 25 April. On 8 May army spokesman, Mir Rabbi, said the army’s attempt to recover more bodies from the rubble would continue for at least another week. On 10 May, 17 days after the collapse, a woman named Reshma was found and rescued alive and almost unhurt under the rubble. The use of substandard construction material (which led to an overload of the building structure aggravated by vibrations due to the generators). Those various elements indicated dubious business practices by Sohel Rana and dubious administrative practices in Savar. One good example to illustrate the dubious administrative practices is the evacuation of the building after the cracks. It was reported that the Industrial police first requested the evacuation of the building until an inspection had been conducted. It was also reported that Abdur Razak Khan, an engineer, declared the building unsafe and requested public authorities to conduct a more thorough inspection; he was arrested for helping the owner illegally add three floors. It is also reported that Kabir Hossain Sardar, the Upazila Nirbahi Officer who visited the site, met with Sohel Rana, and declared the building safe. Sohel Rana said to the media that the building was safe and workers should return to work the next day. One manager of the factories in the Rana Plaza reported that Sohel Rana told them that the building was safe. Managers then requested the workers to go back to work and as a result workers also returned to the factories the next day.